I must admit at the outset here that I’m not a true devotee of the Divine Mercy Apostolate. As an art historian, I view the Divine Mercy images as ‘Bad Catholic Art’. 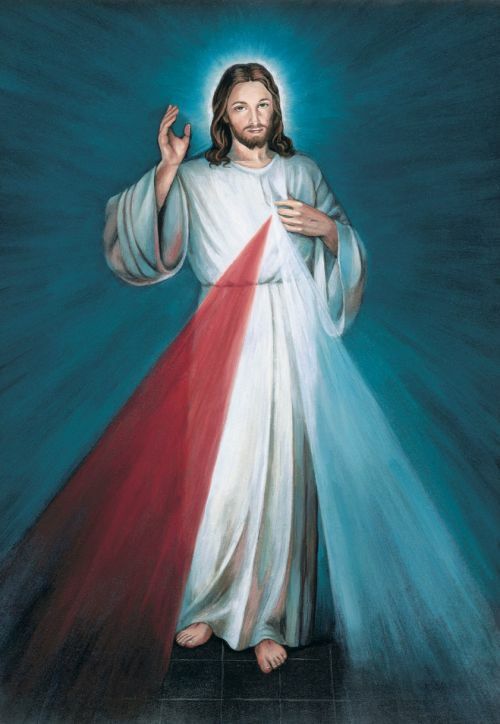 However, since this is Divine Mercy Sunday, I thought this article about the origins of the image(s) might be of interest to my readers, both Catholic and non-Catholic. Here’s pleasant music with a lyric video to pray the Chaplet of Divine Mercy.